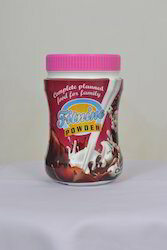 We are leading manufacturer and exporter of Nutritional Products. 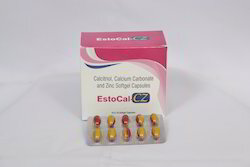 With our rich industry experience in this domain we are engaged in offering Calcium Calcitriol Zinc Softgel for our valuable clients. 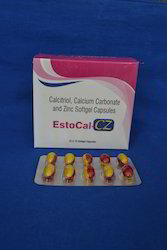 calcium carbonate 500 mg calcitriol 0. 25 mcg zinc sulphate 7. 5 mg.
Calcium carbonate : Essential for normal functioning of nerves, cells, muscles and bone. 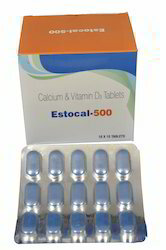 Calcitriol : Active form of vitamin D3, important for the absorption of calcium from the stomach & for the functioning of calcium in the body. Zinc sulphate : Important for normal growth & tissue repair. 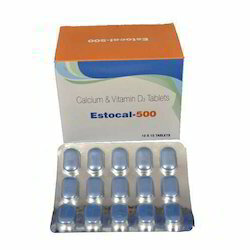 Composition Calcium Carbonate 500mg and Vitamin D3 250 I.U. 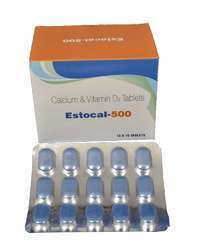 We are offering Calcium Carbonate 500 Mg And Vitamin D3.250 I.U. 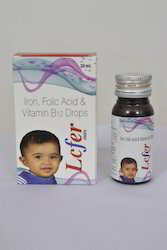 Blessed with DHA for pregnancy support and better foetal outcome. Essential for several oxidation process inside cells. Essential role in synthesis of DNA in the cell nucleus. Helps in absorption in calcium. Keep the cells healthy & reduce cancer. Various bone disorders such as rickets, arthritis. Healthy blood sugar levels, prostate & breast tissue health. Tricholine Citrate: provide synergistic action, stimulates peristaltic movements, effective hepato-protective action. 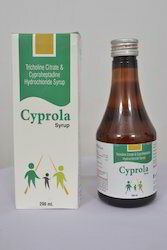 Cyprohetadine: Tones up the entire digestive system, increase appetite , promotes weight gain. 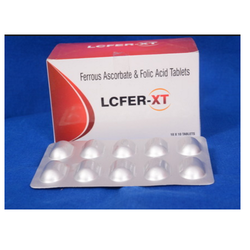 We are offering Diclofenac Potassium Paracetamol Serattiopeptidase Tablets in our client. 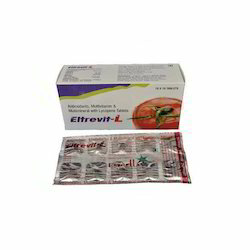 Pepsin (1:3000) 12.5 mg.: Digests not less than 37.5 gm. of coagulated egg albumin quickly. As directed by Registered Medical Practitioner or Physician. 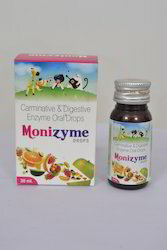 Amylase 20 Mg, Papain 10 Mcg, Dill Oil 2 Mg, Anise Oil 2 Mg, Careway Oil 2 Mg.
Amylase : Amylase enzyme is part of digestion with the breakdown of carbohydrates in the diet. Papain : It is used in the care of some chronic wounds to clean up dead tissue & also used in digestion. Dill oil : Dill oil is used for digestive problems. 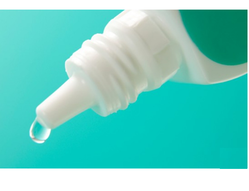 Anise oil : Anise oil is act as anti-septic. Careway oil : careway oil is act as anti-histaminic. 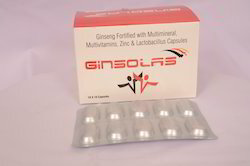 Ginseng multivitamin lactobacillus sporegens cap "ginsolas"
Amylase : Amylase enzyme is part of digestion with the breakdown of carbohydrates in the diet. Papain : It is used in the care of some chronic wounds to clean up dead tissue & also used in digestion. 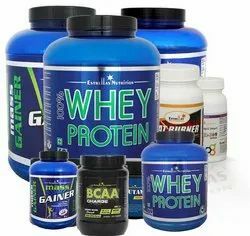 With added advantage of protein,carbohydrates, multivitamins & multiminerals. 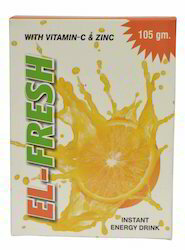 Prevents cellular degeneration & helps protein synthesis. 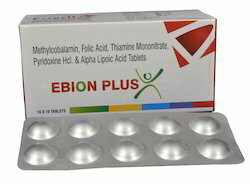 As one of the leading entity of this domain, we are engrossed in providing supreme quality Ebion Plus Tablet. 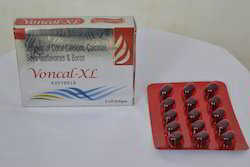 These tablets are provided to the patients suffering from health issues. 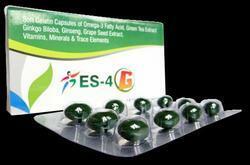 At our end, these tablets are prepared using quality salts and methodology. Further, we keep a track record of the medicine’s reviews and performances provided to us by the clients. 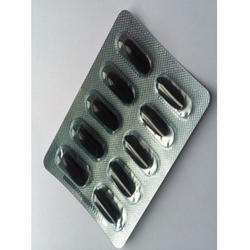 The tablets can be availed from us at the nominal prices. Backed by a hardworking team of professionals, we have been able to provide Multimineral Fatty Acid Antioxidant to our valued clients. 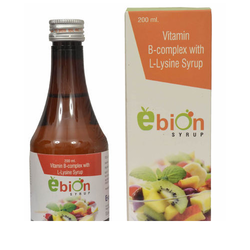 Our offered gel is highly acclaimed among our clients due to its safe consumption, zero side effects and balanced composition features. In order to deliver a best gel to our clients, a team of our quality experts test it on varied quality parameters. 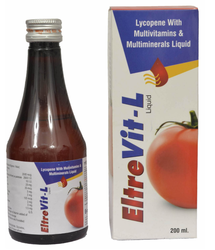 In addition to this, we offer this gel in varied packaging options as per the clients’ requirements. Soft Gelatin Capsules Of Omega-3 Fatty Acid, Green Tea, Extract, Ginkgo Biloba, Ginseng, Grape Seed Extract, Vitamins, Minerals & Trace, Elements. Ginseng is considered as an adaptogen, a substance that helps reduce fatigue and stress in the body. Green tea effective in cancer, lowering LDL cholesterol levels, & inhibiting the abnormal formation of blood clots. Ginko biloba treat depression, memory loss in the elderly and sexuals problems. 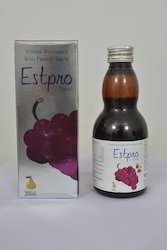 Grape seed extract act as anti-bacterial, anti-viral & anti-inflammatory. 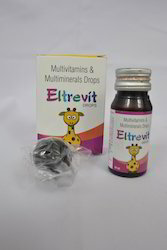 We are offering Multivitamin Drops to our client. 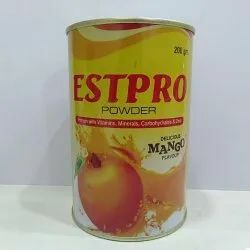 We offer this at market leading price. 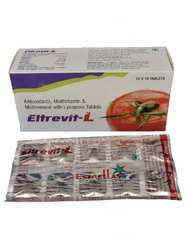 Elevit Contains - multivitamin, carbohydrate, amino acids, caffeine, ginseng extract with zinc. 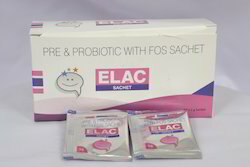 Our company is leading manufacture of E-Lac Sachet-Pre & Pro contains combinations of both Prebiotic and Probiotic. 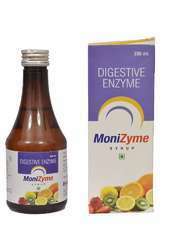 Pre & Pro restore the bacterial balance in the digestive tract. Probiotics are beneficial bacteria that are present in various foods. When probiotics are taken in diet, required bacteria are added to GIT. Prebiotics are a non-digestible food that goes to digestive system and help good bacteria grow and enriches them. 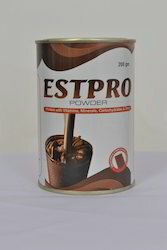 We are offering "estpro syrup" - 200 ml - protein syrup with b-complex. 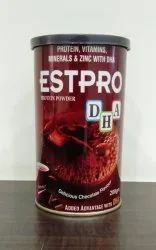 Energy supplement is used as part of a healthy, balanced diet, they can each be used to help support recovery and aid with muscle building and weight gain. 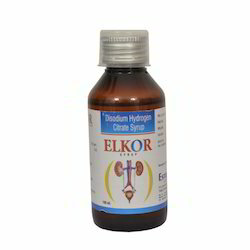 We are offering Alkalizer Medicine in our client. 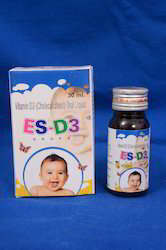 We are offering Calcium and Vitamin D3 Tablet to our client. 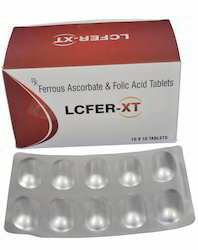 We are offering Ferrous Ascorbate Tablet to our client. 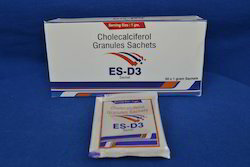 We are offering Vitamin D3 Cholecalciferol Drop.